Telling people to leave their wedding ring at home doesn’t usually sit well. After all, you may have thousands of dollars sitting on your finger. Not only do you want to enjoy your new ring but, taking it off could mean easily losing it. So, why am I telling you to leave your fancy finger hardware at home? Wearing rings during physical activity could lead to serious injuries and finger trauma. As you know, rings don’t always simply slip off your finger and can easily catch during your daily routine. They can get stuck on other players during sports, trapped in machinery at the gym, or wedged on the edge of another object during activity. When this happens, the ring pushes into the finger and cuts into the skin or tendon. The pressure that the ring places on the tissue can either lead to a minor injury, such as bruising or blood vessel damage, or a more serious injury. With enough force and rapid movement, the ring can potentially strip the finger of flesh, muscles and tendons, resulting in serious finger trauma. This is sometimes referred to as “degloving”, or the medical term is ring avulsion. For many people, this leads to amputation if the finger has been too stripped or becomes infected after the injury. Luckily for you, finger trauma is largely preventable. If you’re engaging in sports, yard work, hobbies with machinery, or physical work, leave your wedding ring at home. Many companies are making this easier by providing wedding band alternatives. If you feel “naked” without your ring, opt for a band made of rubber or high-quality medical grade silicone. Switching to a band made of a softer material could save you from ring avulsion or other finger trauma. If you’re afraid of loosing your wedding band, another option would be to string it on a chain around your neck for the duration of the activity. If you experience finger trauma, especially ring avulsion, seek immediate medical attention. Keep your hand elevated to reduce swelling. If your finger is still intact, wrap the finger and apply pressure to slow the bleeding. If your finger has been amputated, call an ambulance. Gently wash the finger with clean water or sterile saline solution, wrap it in moist gauze and put it in a watertight bag. Keep the bag on ice until you reach emergency care. Do not allow the amputated finger itself to be in direct contact with the ice. Placing the amputated finger directly on the ice could lead to further damage. Bring the amputated part with you to the Emergency room. Best case scenario, you broke your finger bones and may need to wear a cast for a few weeks. If you cut open your finger, you may need stitches. A more unfortunate injury might require surgery and the technique depends on the severity of your injury. Depending on if you have damaged nerves, blood vessels, tendons or bone fractures, your surgeon may or may not be able to reattach the finger. If your surgeon is able to reattach the finger, recovery can take weeks before the finger is able to move again and months before the bones and wound is healed. If there is damage to the nerves you can expect sensitivity to temperature or pressure for up to a year, if the damage isn’t permanent. 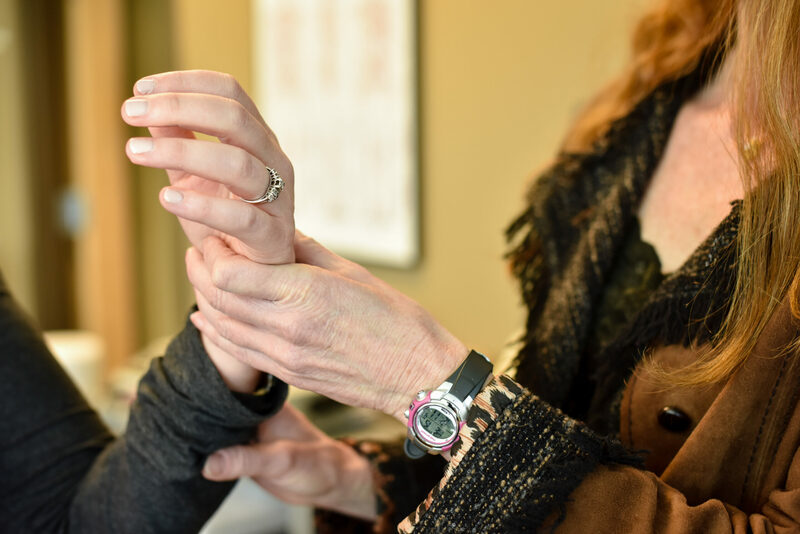 Depending on the severity of your injury, you may need to see a hand therapist to regain full movement and strengthen your hand. Prior to seeing Dr. Dickerson I had been to several doctors. He pretty much was my last hope. He operated on my Achilles heel and it turned out wonderful. He is so kind and interested in everything. He knows his "stuff". I honestly thought I would have to live with the pain the rest of my life. He completely shot that down. I would recommend him to anyone who has feet problems. He is awesome!! !